Petra, the mysterious Rose City of the Nabateans built in the 6th century BCE, is visited by millions of people who walk through the narrow, high-sided canyon (the Siq) to gasp in wonder at the Treasury (Khaznah) Building and the amphitheater. 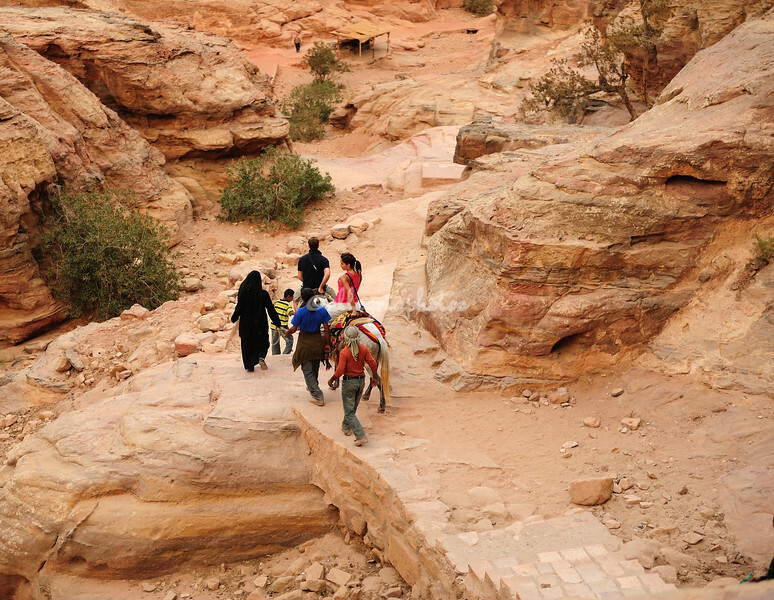 Perhaps they ride a donkey up the almost 900 steps carved into the mountain to see the Monastery (Al-Deir); some will return at night to see Petra illuminated by thousands of candles. A few visitors will venture into the desert to find Little Petra.